We give up too easily. With a simple change of attitude, what seem like insurmountable obstacles become once-in-a-lifetime opportunities. 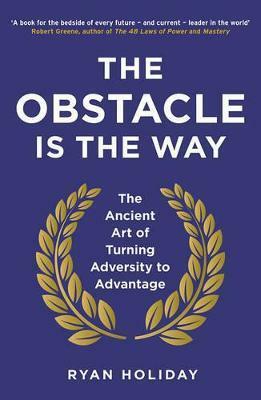 Ryan Holiday, who dropped out of college at nineteen to serve as an apprentice to bestselling 'modern Machiavelli' Robert Greene and is now a media consultant for billion-dollar brands, draws on the philosophy of the Stoics to guide you in every situation, showing that what blocks our path actually opens one that is new and better. If the competition threatens you, it's time to be fearless, to display your courage. An impossible deadline becomes a chance to show how dedicated you are. And as Ryan discovered as Director of Marketing for American Apparel, if your brand is generating controversy - it's also potentially generating publicity. The Stoic philosophy - that what is in the way, is the way - can be applied to any problem: it's a formula invented more than 2,000 years ago, whose effectiveness has been proven in battles and board rooms ever since. From Barack Obama's ability to overcome obstacles in his election races, to the design of the iPhone, the stoic philosophy has helped its users become world-beaters. A modern guru who shows the way to turn problems into opportunities - in business and marketing, Ryan Holiday has done it all, seen it all, and now he's here to show you the way.